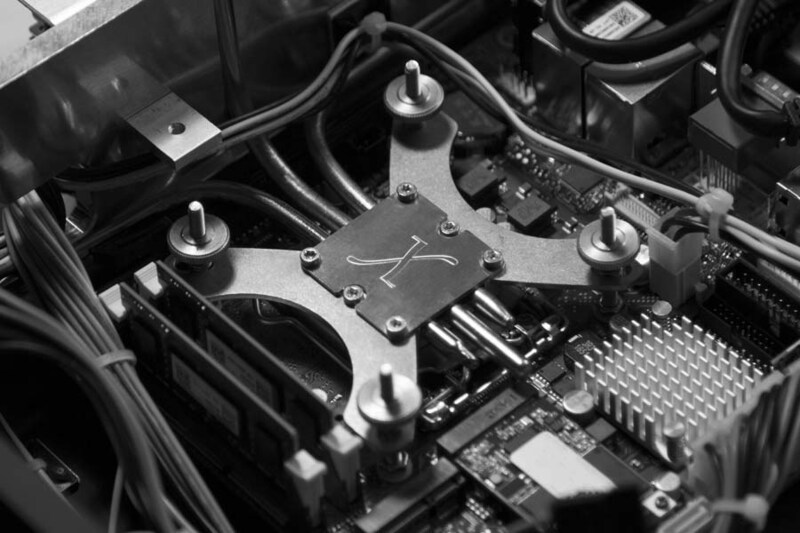 German-based x-odos is a relatively new manufacturer in high-end streaming. Owner and IT expert Christof Poschadel is well known in his country’s industry for application-specific programming. 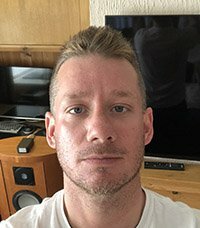 Christof was a natural in programming from a young age and although obtaining degrees in History and Archaeology his talents for programming were never overshadowed and he became Network Administrator at his University. Christof, a lifelong HiFi enthusiast decided to take on the task of building his own music server which soon attracted friends and acquaintances attentions and requests for units were made. Following his heart and passion for music Christof founded x-odos in 2014 and along with two colleagues produced the xo|one music streaming server and ripper. The xo|one is a seriously sturdy heavyweight piece of equipment made from thick panels of well-finished aluminium for resonance control. The front of the unit is very simple, which I like very much. Too often digital streamers have a plethora of buttons, flashing lights and unnecessary adornments, which make them look slightly on the cheap and tacky side. The xo|one has a slot for ripping CDs, one captive touch sensitive button for powering on and off and just above this and centre stage is the CNC machined-out, led-lit, user-dimmable X branding, which is pretty cool looking and adds a smart look to the sleekness of the front fascia. To the rear is a Furutech power inlet IEC socket, two Neutrik USB 3.0 sockets which are backward compatible with all USB 2.0 DACs, matching high quality locking Neutrik Ethernet and AES/EBU sockets and a single WBT RCA digital out. Isolation is provided by the use of SSC supporting feet. If streaming worries you somewhat, then worry no more! Installing an xo|one is so simple you could probably have your cat do it for you! Plug in an Ethernet cable to your router, if you want to stream from the likes of Tidal or Qobuz this is your connection to the internet and also links the xo|one to the WIFI signal of the iOS or Android device you wish to use to control the unit. Choose whether you wish to connect the xo|one to your DAC via a USB, AES/EBU (XLR) or Coax (RCA) via a digital cable – all of these outputs send a signal at all times, so there is absolutely no configuring of outputs. Note: an installation and operations manual is included with the xo|one – this will explain how to configure any Network Attached Storage devices – it’s simply a case of opening a webpage and entering the unit’s IP address, selecting the stream tab and entering the IP of the NAS along with its username and password and then selecting SMB from the drop-down menu. Follow the simple steps outlined and this task is completed in just a couple of minutes. The control app for the xo|one is an absolute joy to use! I’ve used many apps in the arena of streaming, probably 90% or so of them, and the xo|one’s app is up there with the very best in terms of GUI layout, ease of use and complexity. Covering all basics such as internal drive storage selections, Tidal, Qobuz, Radio, HirezAudio direct library download and streaming, along with the ability to simply configure and add an existing Network Attached Storage device, the xo|one already makes strides to becoming a very well thought out and intuitive platform for covering all of your digital music requirements. The GUI itself is a very creative platform to use. Unlike some other very well-regarded control apps, xo|one’s on the iPad has absolutely everything you require for fully complex control that is neatly laid out on one screen to save the constant rigmarole of flicking backward to previous page menus, other windows, and essential options. When selecting an album from the chosen page (whether headed as album, artist, genre etc), a colourful and high-resolution window opens an alongside curtain with all album options, leaving the ability to change one’s mind from the initial selection and still visible centre screen. Once an album or artist is selected a smaller overlaying central window shows available tracks with a begin to play button. Tapping the screen anywhere off of this forefront window makes it disappear, leaving the left hand upper fixed pane with the current playlist available for viewing, editing or clearing with a simple option button within its borders. Any further selections during playback simply adds to the length of the current playlist, which again can be edited and condensed if you wish to do so. Saved playlists can be created in this pane, whilst having every available option present to build and create playlists without any disruption to the music. Underneath this pane in the lower left is always the current albums cover art. A tap of this opens a new full-screen window with play/pause etc buttons to the right and the larger cover art to the left. Along with the backward and forwards navigation buttons, the user has the ability to slide the cover art up or down to select the next or previous track, which is instantly responsive. A further tap on the window opens up a full-screen album art page and a swipe left or right will change tracks. Hitting the X in the corner takes you back to the multi-pane view, where the top bar on this page has track navigation buttons. This page is what I tended to use the majority of the time as I just found every option so easily accessible and readily available, although for deep listening sessions of created playlists I would move forward into the simpler, album art plus condensed navigation window. Talking about condensed, the iPhone version of this app has all features present with a slightly more user-friendly layout to maximise screen size and user ability, never sacrificing functionality or features. xodos has made this task very simple. Just pop a CD into the slot on the front of the unit and let the xo|one do the work for you. The unit will find all the metadata for album information and artwork, as well as dropping it into your music library when complete and kindly handing your CD back to you for storage. One of the first points I’d like to address with the sound quality of the xo|one is its tonality. Firstly, it’s completely analogue, full stop! If anybody can hear digital harshness from this unit then there’s something wrong in your system! 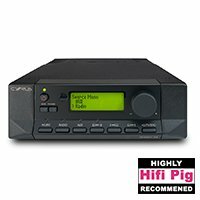 I’ve rarely heard a digital source sound so organic, maybe some of the older proper Levinson products, like the 360S DAC I’m using connected to the xo|one here or a CEC belt driven transport possibly, but let’s not get into too many comparisons here, tonally the xo|one is immediately impressive, engaging and toe-tapping. Listening to Rachelle Farrell’s ‘I Can Explain’ explained this all for me…firstly the intensity of her dynamic range was less forceful and I felt as if there were more prominent momentary steps into following notes which gave more realism to the human voice. I could hear her throat and chest better between breaths and also during climbing notes, making for an effortless and silky, yet still immensely powerful tonality to her voice. Pleasantly accompanying her vocal, which demands a lot of focus normally, was the grand piano. I was actually drawn to its tonal accuracy without giving it any real consideration as I was assessing the vocal, but due to its new found positioning in the overall image, it was hard to miss. Overall it was richer, far more accurate and decayed more interestingly. ‘Temptation’ by Diana Krall – although not as powerful a vocal, had a similar effect on my listening experience, the natural balance her vocal took on was a clear step up from my normal listening. Bass, tambourine and piano were all able to convey their individual tones with no smearing and again, just so analogue-like and natural in presentation and with more of that “sat in front of the live performance” feeling. The xo|ones ability to soundstage is exceptional, from emerging trombones to wavering low bass notes which sweep into the room – it structures events with complete believability, with three-dimensionally as a byproduct that the xo|one has in spades. Its soundstage compliments its tonality and the two characteristics combined to forge a fantastic partnership – never forward or rushed and the way it swings dynamics is incredibly realistic. Great recordings really thrive here and the music has a way of carving into the listening space making vocals truly “in the room” and each and every instrument claims its own spot within a presentation which is simply captivatingly musical. I adore how well the xo|one has such a black background and yet keeps everything together and flows without any detachment. It offers performances the rare ability of real spaciousness yet retains the collaborative effect the artist intended. I’d often just forgot about all the electronics and simply sank into my seat lost into the music. Then at times the xo|one would all of a sudden have me really sitting up in my and taking real notice of certain passages. Smaller secluded events seemed to be happening throughout my listening space at varying volumes and intensities, again I kept thinking to myself “how on earth is this voiced so tonally accurately”. Characterisation is determined simply by genre and recording, not by an overzealous engineer who believes he knows better. There is no misplaced ego here, rather the foresight to let the music speak for itself. Every piece of music sounds different and very true to the music – if a track has more perceived height when recorded then that’s what you get, if it has wider proportions then that’s what you get and if it has a deeper or lighter bass quality…you guessed it, that is simply what you get. 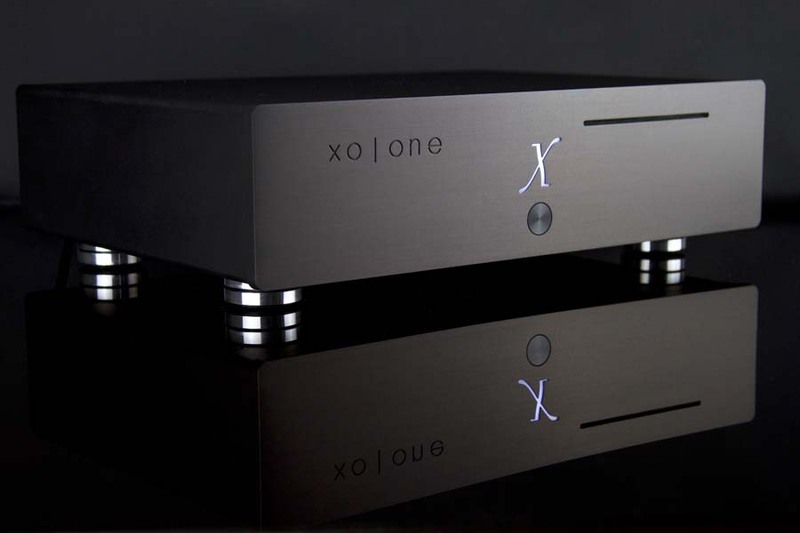 Now alongside the Melco N1/a2 and quite honestly any other streamer I have had here to a certain degree, the xo|one betters them in most areas in my opinion. I feel the Melco has less opportunity in allowing the music to be as playful or abundant of character and tonality, less analogue, relaxed and toe-tapping. The xo|one has an ability to just simplify everything and open a window which allows a stuffy room to breathe and this is reflected in the sheer amount of time I sat in front of my system listening to album after album. The ease of how the xo|one conveys tone and timbre is exciting in itself – its midrange clarity is staggering at times, for example when I listened to ‘Little Zing’ by Andy Erin & Valerie Joyce and Valerie’s vocal was just sublime with the accompanying guitar sitting a shade or two darker and a foot or so back, five foot to the right-hand side of centre stage. Neither instrument nor vocal was overshadowed in any way and the full organic nature of the performance was nothing short of gorgeous. I listened to many blues and trad-jazz tracks which all had the same appeal. I found tone in abundance, speed and control of leading-edges accurate and just so damn playful and bouncy into the Levinson DAC – I actually haven’t been this invigorated by my music for some time and if I’m completely honest I really believed that the xo|one was going to be an item from a company who had simply jumped onto the streaming band wagon attempting to drive into the slipstream of the likes of Innuos or Melco, but they really have hit the ground running in my eyes…and ears, and really deserve some serious attention. My time with the xo|one continued on from here from a reviewer’s perspective to a “sit back and relax and just put your feet up and enjoy forgetting everything else situation”. Enjoying long listening sessions and re-finding that spark again that made me want to spend any free time I had listening to music again. The review took a backseat for a while, while I simply became engrossed in my system as a whole, putting all my hard work in redesigning my speaker crossovers and system isolation to one side and realising that I have actually found a place in my heart where music makes sense again. I even spent one entire evening listening to classical music which isn’t generally one of my favoured picks, although I appreciate many performances, I tend to not give the genre much time when I have a few hours to spare. What initially began as “I’m going to investigate some classical music due to the abilities I’ve come to love about the xo|one” soon migrated into albums being played right through. It was at this time where I really found how in-depthly playful the xo|one was with the smallest of nuances dancing through my listening room and all around me. The evening was young and atmospheric noise was very much diminished from the hustle and bustle of a daytime session, but nonetheless the inner-detail and micro-dynamics again just had incredible tonal qualities that made me smile again. And huge dynamic swings never (and I do mean never) squashed them – yes, they would drown them out in hugely dynamic and busy passages but that’s the reality of a large performance. Even so, I was still very much aware of their presence. Even listening to the likes of ‘Chasing Cars’ by Snow Patrol during some daytime frolicking (Daytime what? – Ed) I hadn’t had ever appreciated so many layers of music within the performance. 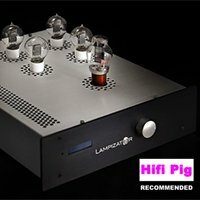 Fond memories of top Lampizator DACs I loved the abilities of come to mind, they can allow fantastic shape and layering of music and their tube tones made for such enjoyable grain-free listening sessions. I went on to listen to Amy Whinehouse, Adele, Phil Collins, One Republic, Fleetwood Mac and many others who I listen to as more of a fun timeor background music session. The type of artists who I enjoy singing along to and not really paying an awful lot of attention to the reproduction or mastering of the recording. Time and time again I was caught off guard by details, rich tonality or shaping of the soundstage without any intention of close inspection whatsoever and that’s when you know that you have found something a little special in my opinion. 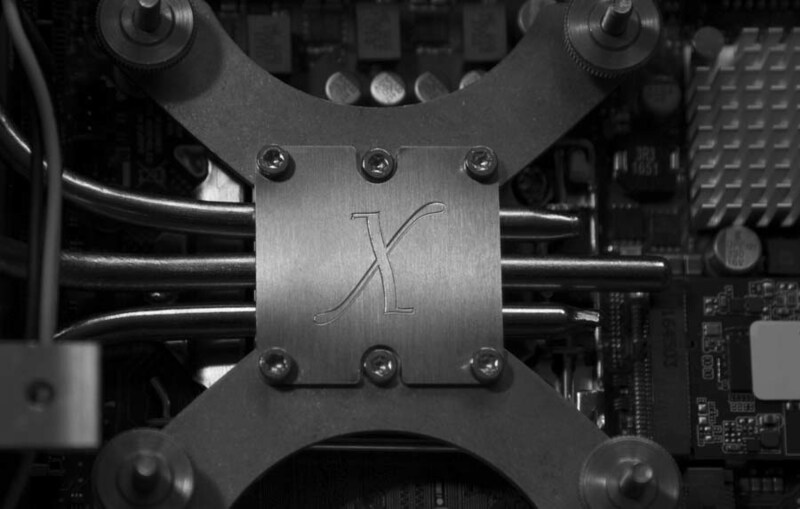 I can’t inform you of what recipe of hardware components or software the team at xodos use to produce the xo|one, all I can do is speculate that they are built and configured in such a way that it reflects the intentions of an individual or individuals that understand how music should sound. The voicing within the xo|one is simply moving! It’s not a cheap product by any means coming in at £7500 but I have heard units costing more which just do not stack up in terms of tonal accuracy, soundstage shape, overall realism or form and function. The app is an absolute joy to use and again is so thoughtfully presented that it just ties the entire package together, complimenting aural appeal with visual appeal. The physical unit isn’t too shabby looking either! A very heavy for a streamer design, made from thick panels of aluminium, keeping everything rigid and vibration free. The single captive touch sensitive front button, cool looking led lit X branding and top-quality rear connectors from Furutech, Neutrik and WBT are sweet little cherries on top of a delicious cake. I urge anybody with a system warranting a streamer of this ability to get some hours under their belt with one. If you have strongly considered streaming but are afraid of typical digital and pride your turntable as the one and only source, then give the xo|one a try, you may be surprised! Build Quality: Very nice thick aluminium, well-finished paneling and top quality sockets. Sound Quality: Analogue, fantastic tonality, wonderful soundstage shaping, and top quality layering. Value For Money: In comparison with everything else I’ve heard, value for money is appreciable. Pros: Utterly musical and analogue presentation, great voicing and build quality, with the addition of one of the best streaming apps I have ever had the pleasure to use. Cons: A little pricey but in comparative terms not so. Price – £7500 in black or silver finishes.